modern technology and aesthetic don’t always see eye-to-eye. sure, you could find some gadgets that looks ‘pretty’ but they are just, well, pretty and would hardly make anyone of us exclaim “it is a beau!” however, when you have two makers from two different industries come together with a common ‘spare no details’ philosophy, then you know you have a true form and functionality winner. 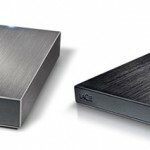 and we are referring to none other than the collaboration between LaCie, a long time manufacturer of aesthetically-pleasing storage devices for computers, and Porsche Design, a luxury brand synonymous with functionally, timeless and purist design. 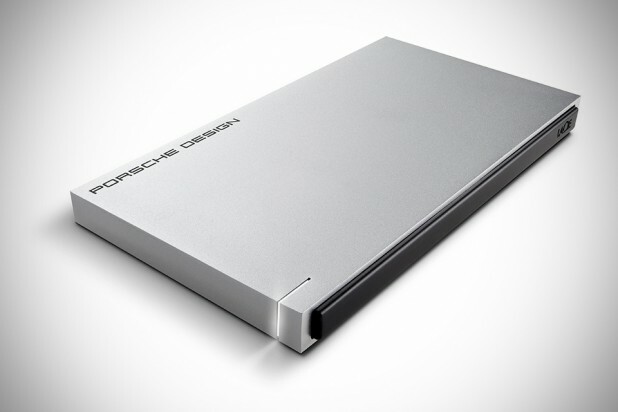 the newest member to join the duo’s list of collaborated products which started since 2003, is this Porsche Design P’9223 Slim Drive by LaCie that combines SuperSpeed USB 3.0 with an optional Solid State Drive or SSD to maximize performance and a sleek form factor to boot. the enclosure is of aluminum which goes perfectly with your modern gadgets such as you Apple MacBook Pro or Air and with its bus-powered USB 3.0 interface, it promised to deliver up to 400MB/s of data transfer and yet, it is still backward compatible with USB 2.0, if the need for such ‘slower technology’ arises. adding the icing to the cake is, this latest iteration measures 30 percent thinner then its predecessor, measuring a mere 11mm (0.4 inch) thin. 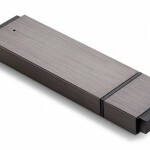 the Porsche Design P’9223 Slim Drive by LaCie is available in 500GB HDD and 120GB SSD model and retails for $99.99 and $149.99, respectively.